Friends of Turkana is a non-profit group based in Brooklyn that is committed to a long-term and supportive relationship with underdeveloped communities in the world. It provides opportunities to develop mutual understanding and respect for the Turkana people by working together on practical community development projects in Turkana and sharing those experiences with broader communities. We took drawings by the children of the Turkana community, simplified them and created this graphic statement to reflect the support and connection between the Brooklyn and Turkana communities. 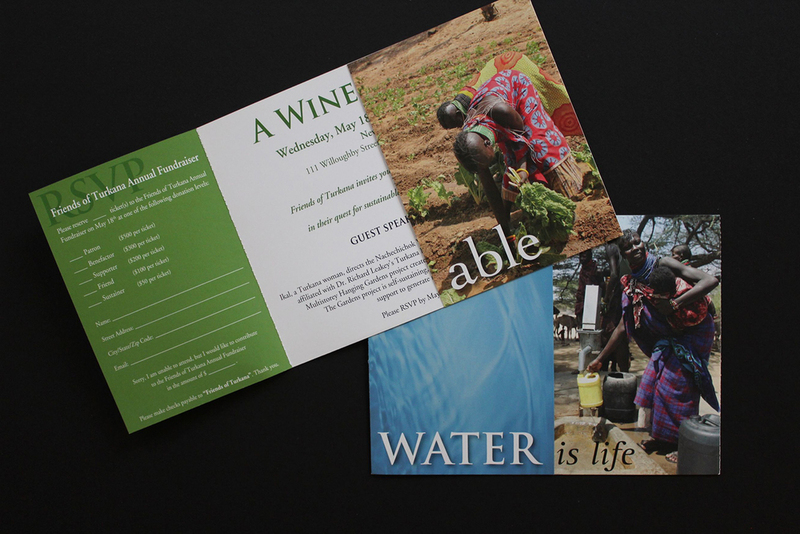 Also shown are promotional pieces we developed through the years for events to raise money for this ongoing effort.